All of our patients receive a physical examination before surgery. Pre-surgical blood screening and IV fluids are recommended. Our pre-surgical blood screening includes a CBC (complete blood count) as well as electrolyte and chemistry panels. Lab work is recommended to detect any existing medical issues that may need to be addressed before surgery is performed. IV fluids are recommended because they help regulate blood pressure, keep the patient hydrated, and flush out the anesthesia for faster recovery. They are also very important because they allow rapid administration of necessary drugs in the unlikely case of an emergency. In order to reduce the risk of infection, surgical procedures are performed in the dedicated surgery suite. 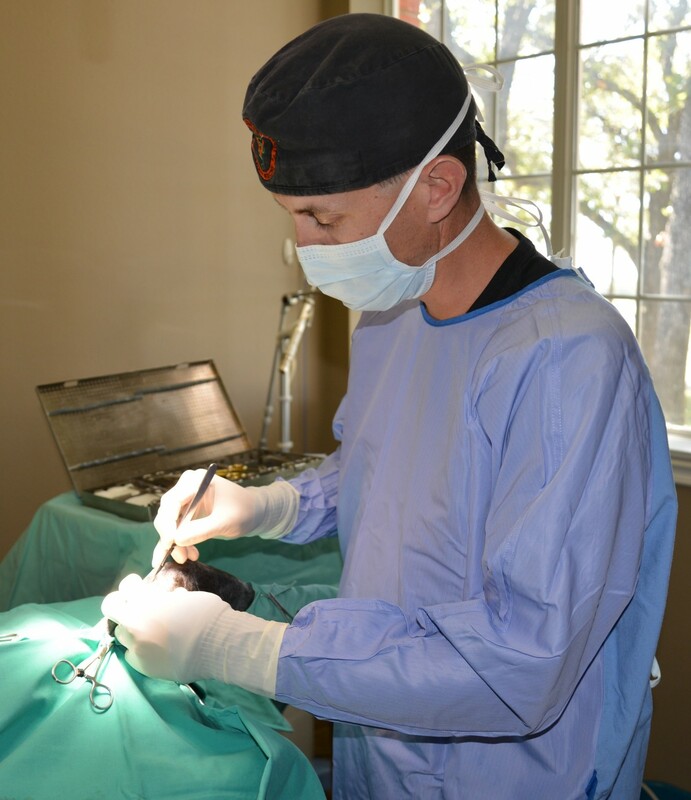 Additionally, caps, masks, and sterile gloves and gowns are worn and sterile instruments are used during surgery. Our surgery table has a heating element to keep the patient warm while under anesthesia and during recovery. A technician is with the patient through the whole surgery to monitor the vital signs. All patients receive a pain injection before going into surgery and laser therapy immediately after surgery to help reduce pain and speed the healing process.